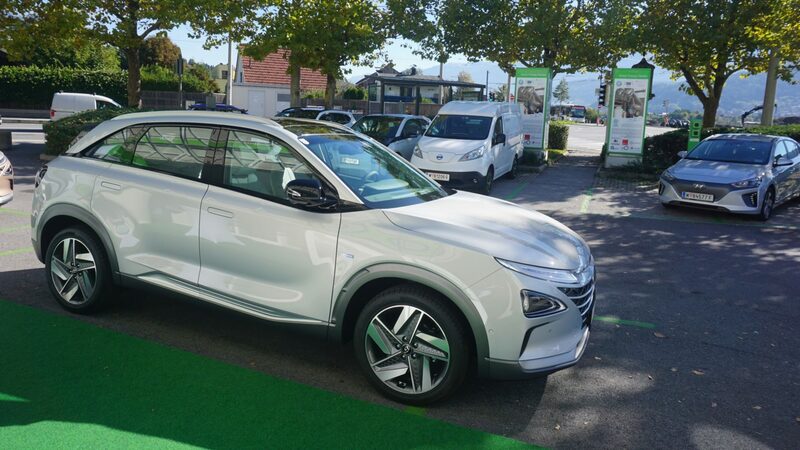 The Hyundai NEXO FCEV is the premium product of hydrogen technologies and it defines a completely new mobility service level. 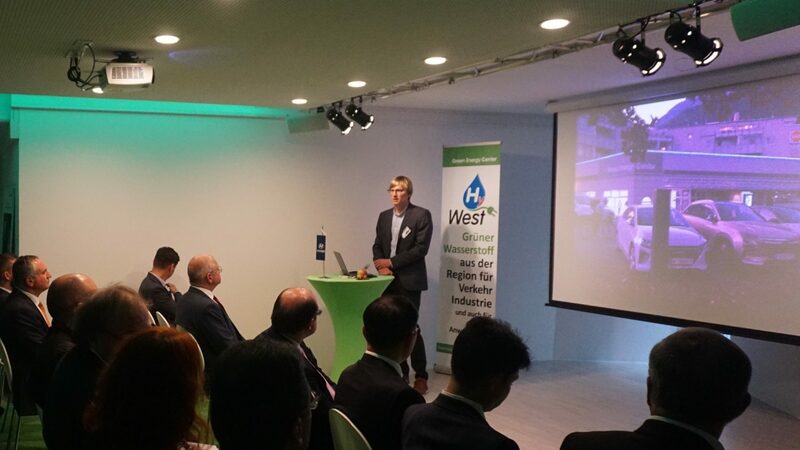 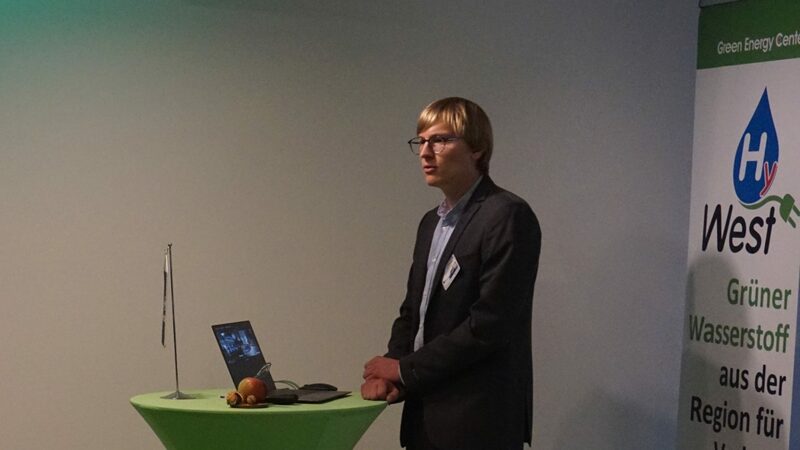 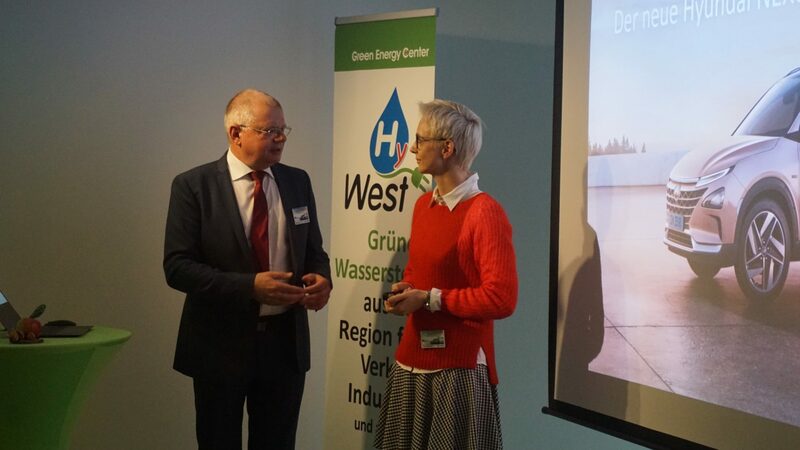 It will be disseminated with the bundled competence of new HyWest Consortium of the Green Energy Center Europe. 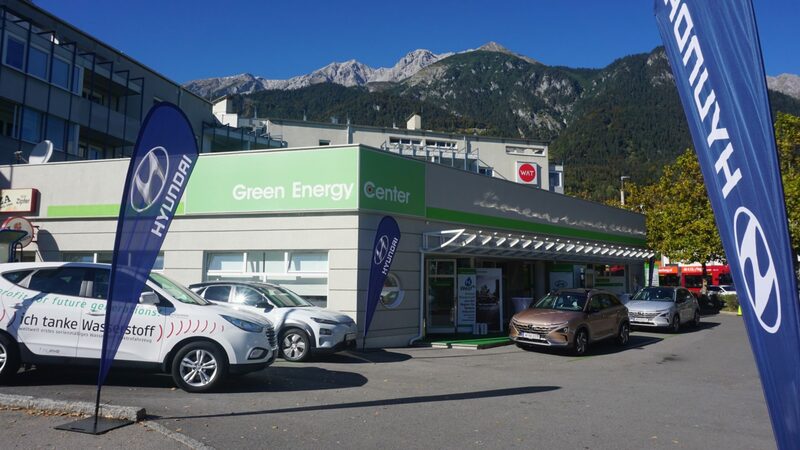 The Green Energy Center Europe in Innsbruck at the Technikerstraße 1 to 3 is a private initiative taking her part of responsibility for building the bridge into a green future. 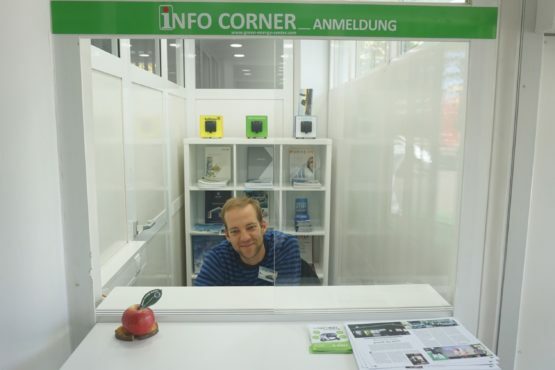 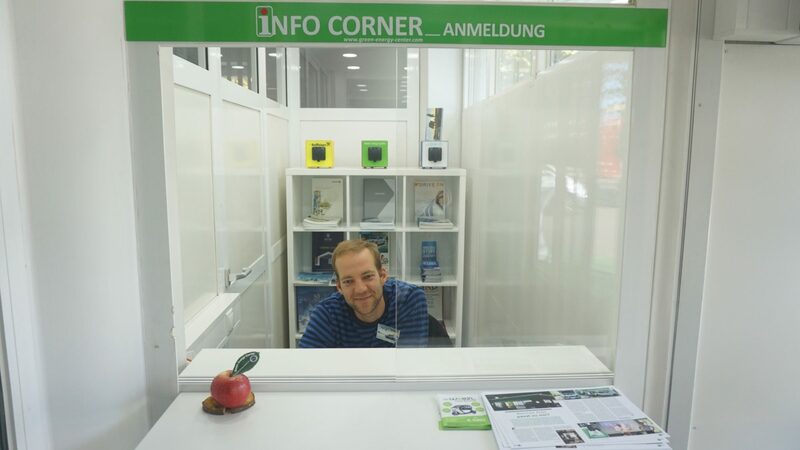 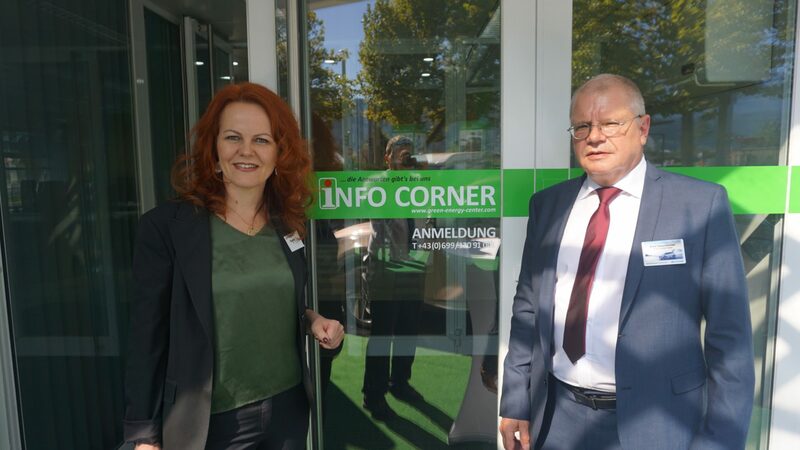 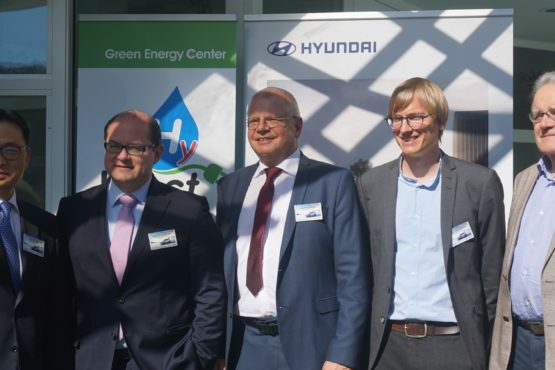 In its two-years of existence, the center has established a “base camp” for the dissemination of new hydrogen technologies in Austria and Central Europe. 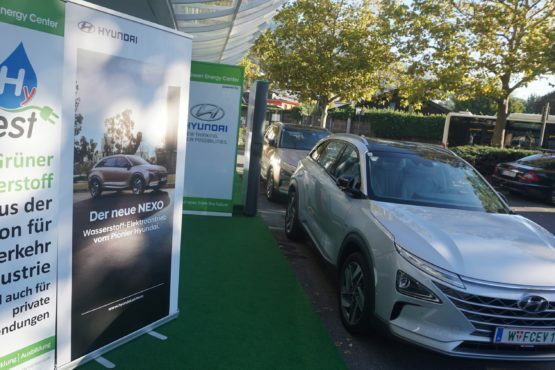 Thus for Hyundai, it is the perfect place to begin the roll-out of the pioneering NEXO Fuel Cell Electric Vehicle (NEXO FCEV). 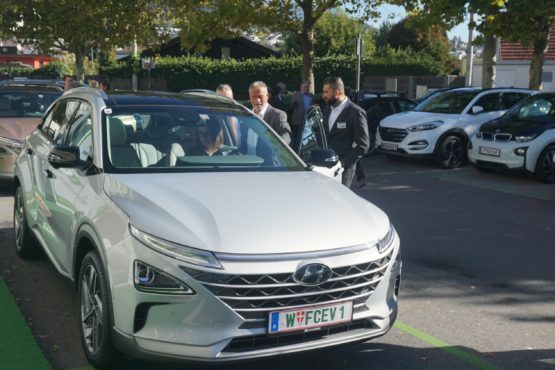 This hydrogen electric vehicle, now initiating the second generation, is the successor to the Hyundai ix35 FCEV, the world’s first vehicle of its kind entering serial production. 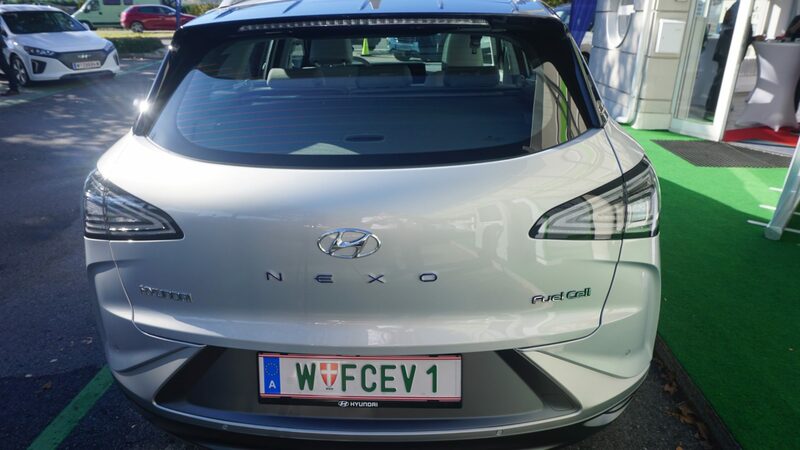 17 out of 500 worldwide deployed cars of the ix35 FCEV are operated by “friendly users” in Austria. 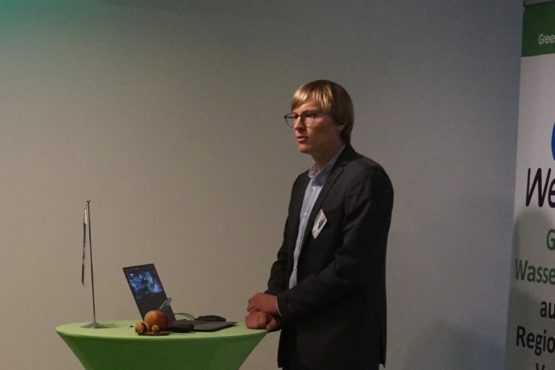 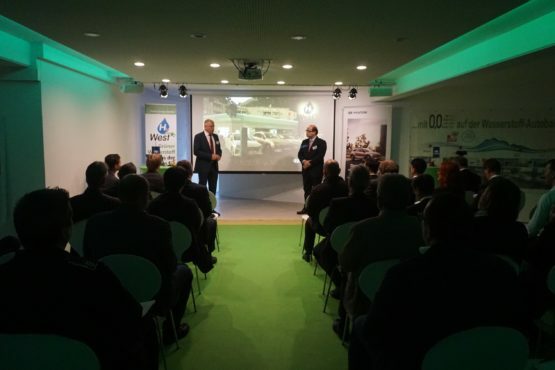 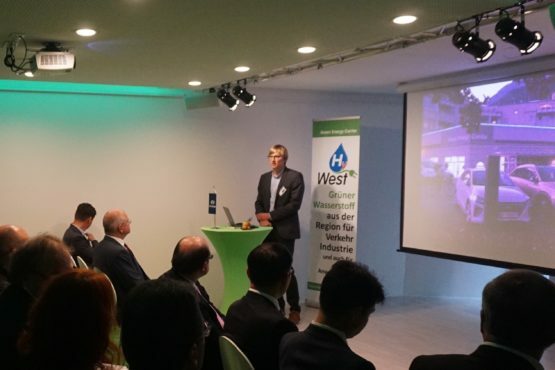 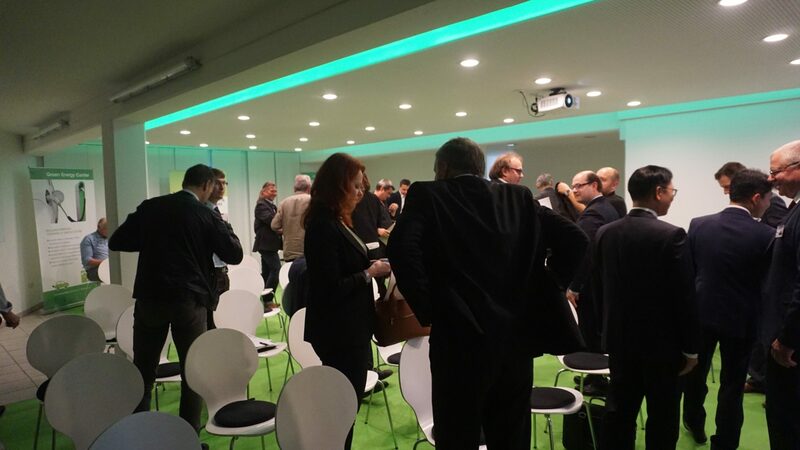 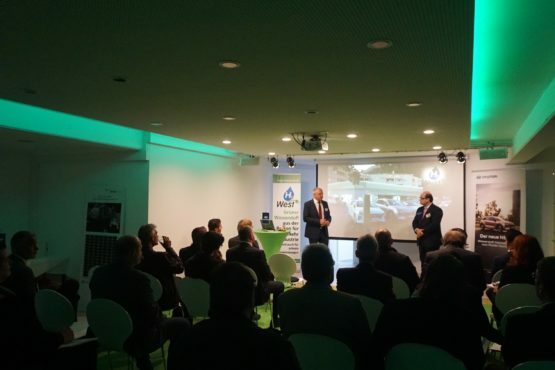 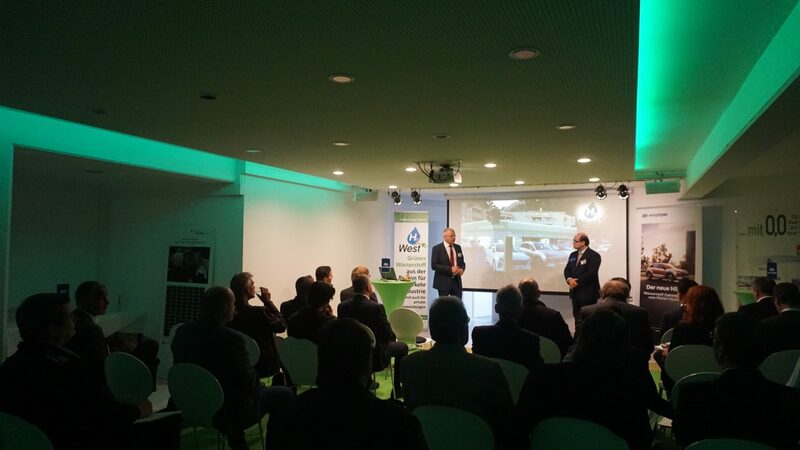 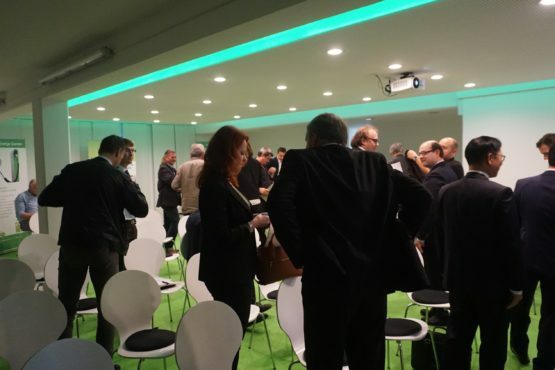 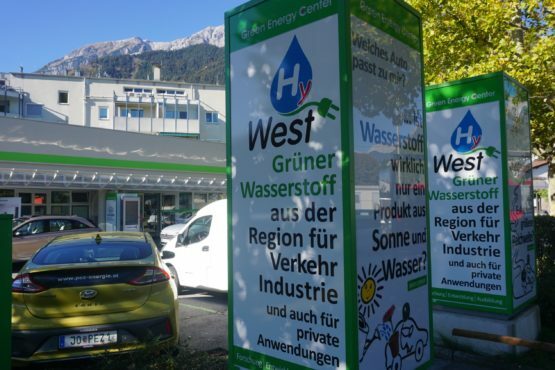 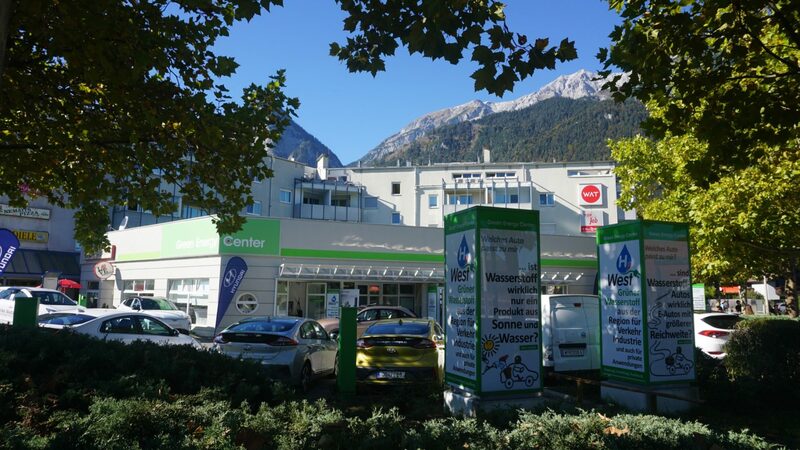 On October 5th in 2018 the rollout was launched together with the presentation of the new hydrogen center HyWest at the Green Energy Center Europe in Innsbruck. 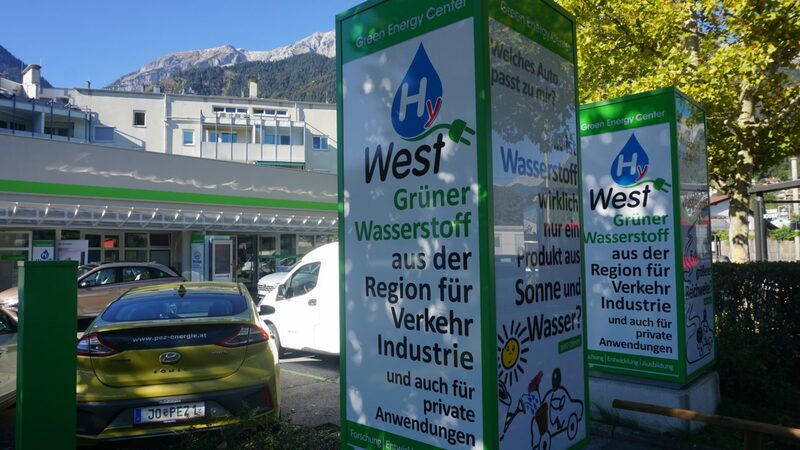 HyWest bundles competences needed for Tyrolean’s strategy from the project development company FEN-Systems, the Graz Hydrogen Research Center HyCentA and more than 40 associated company partners. 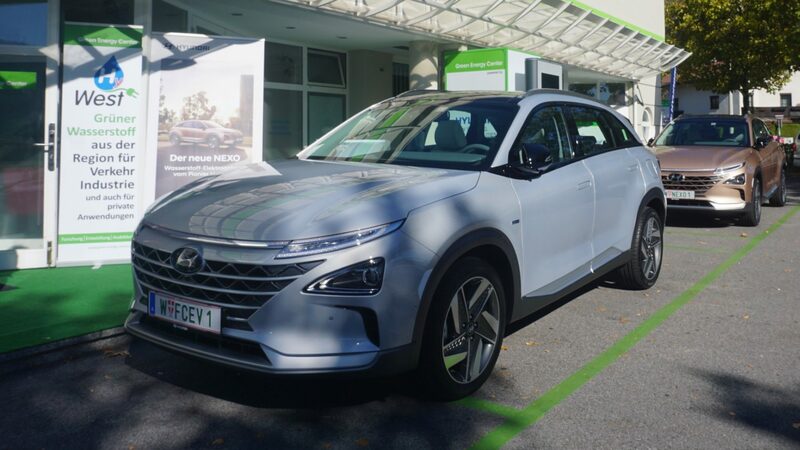 The goal is to drive forward the bridging to a green hydrogen future, while professionally managing the rollout of the Hyundai NEXO FCEV. 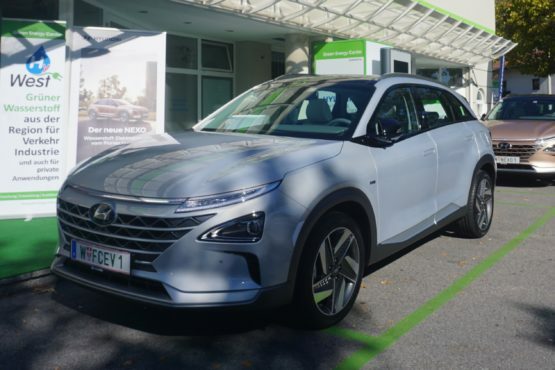 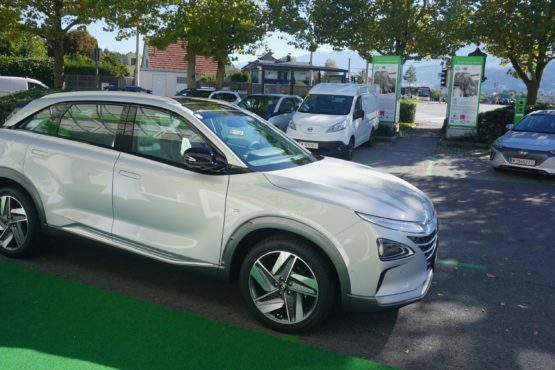 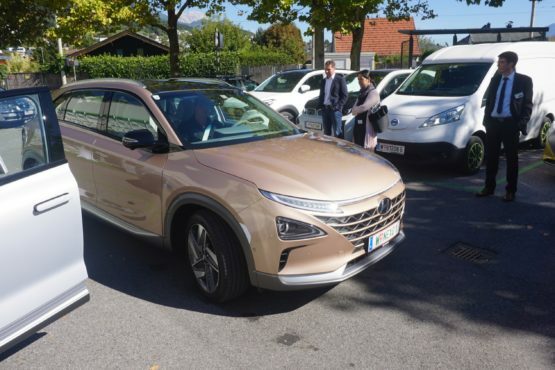 “The Hyundai NEXO FCEV is the premium product of hydrogen technologies. 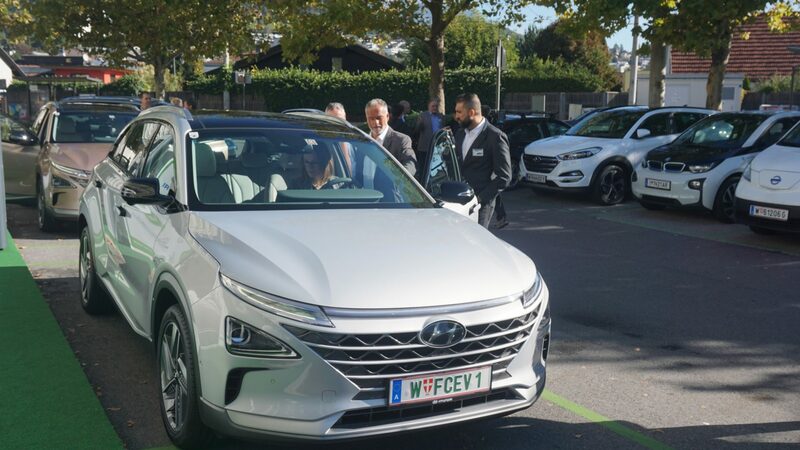 It defines a completely new mobility service level, significantly boosts the technology and inter-brand competition in the hydrogen sector. 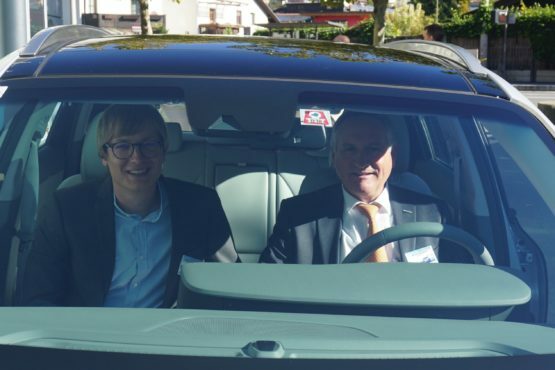 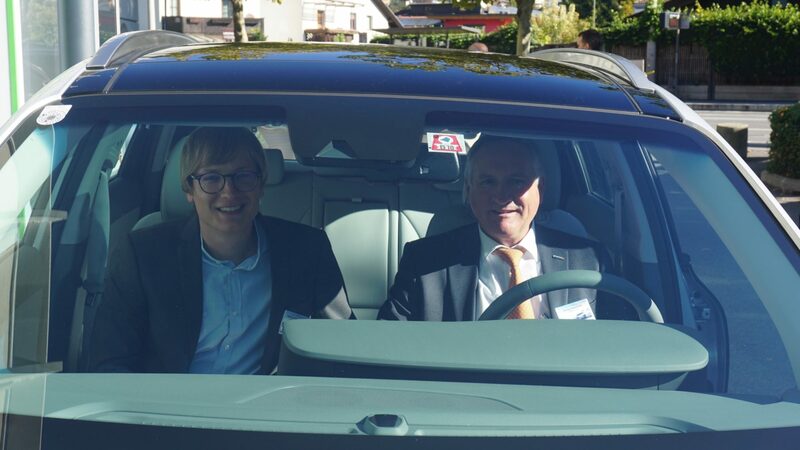 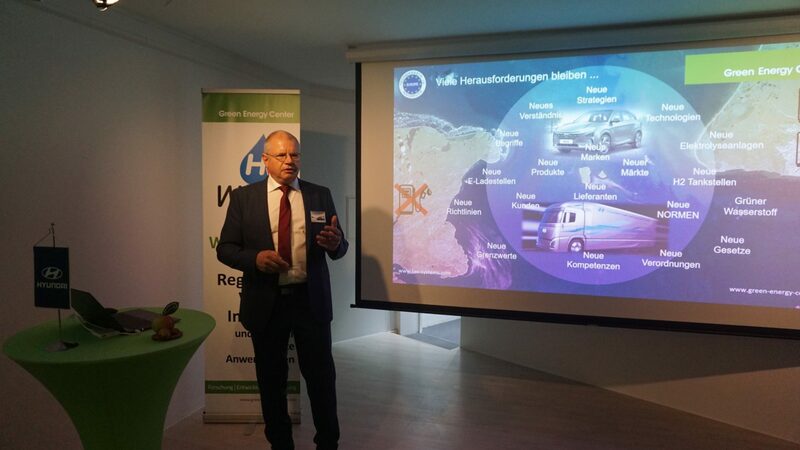 This vehicle will also be the driving force for strengthening the up-to-now rather sparse hydrogen refueling infrastructure, to strengthen our hydrogen highways and to enrich our friendly user hydrogen families in Austria” Ernst Fleischhacker, CEO FEN Systems, founder of the Green Energy Center Europe and initiator of HyWest. 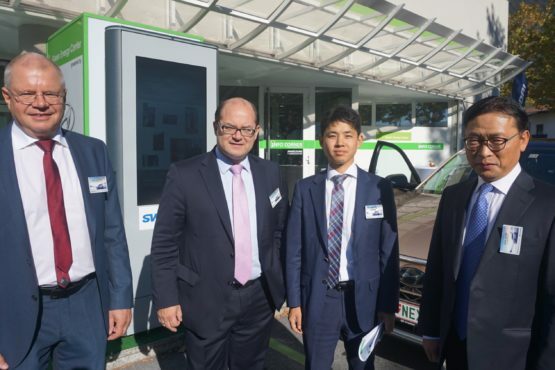 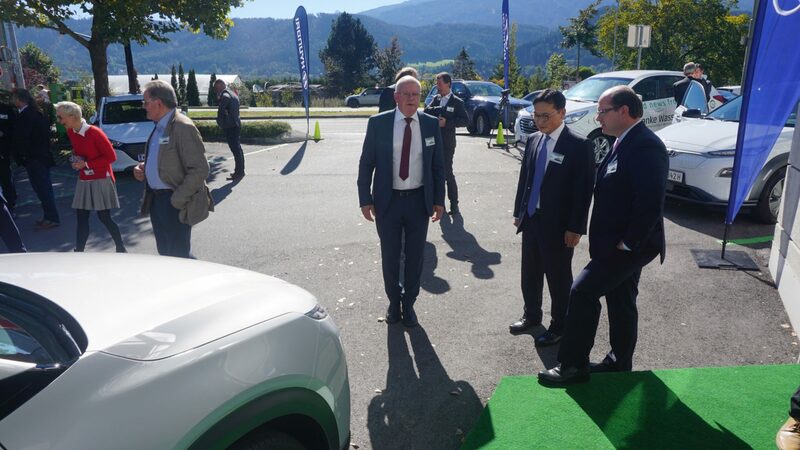 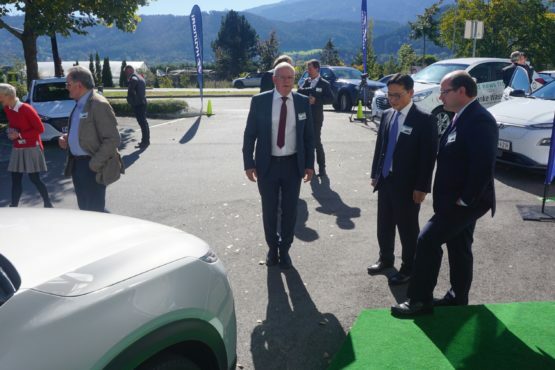 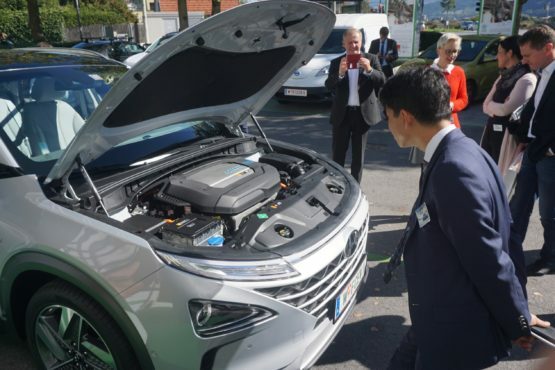 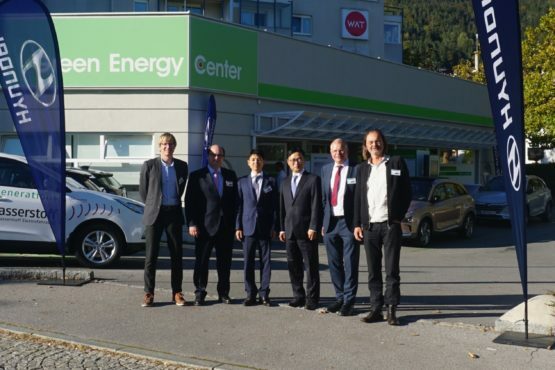 “With the roll out of the ix35 FCEV, Hyundai Motor Austria has already done pioneering work in collaboration with the Green Energy Center Europe. 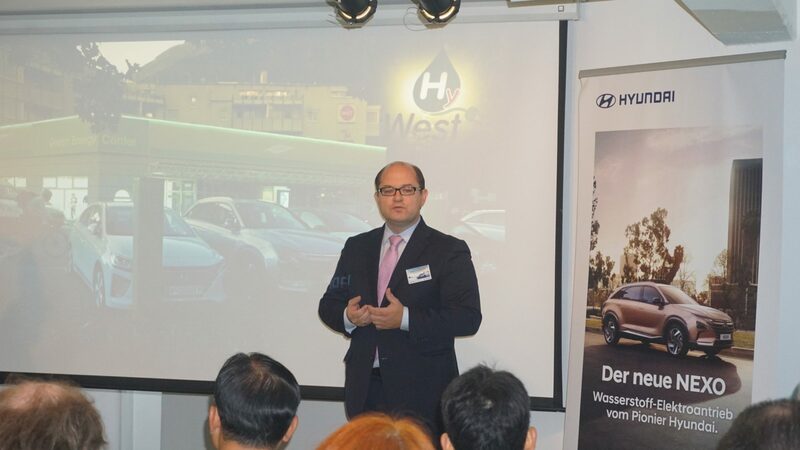 For the hydrogen technology and products we are far from a sales scenario for a mass product. 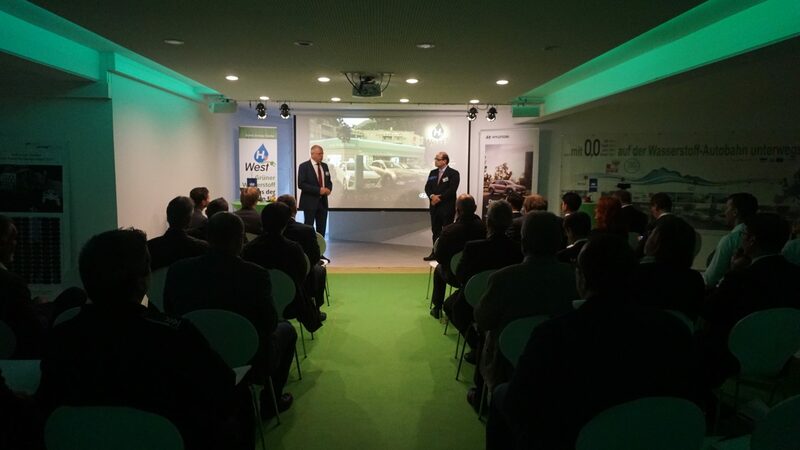 In order to establish a sustainable positioning of this important future technology fundamentals have to be elaborated. 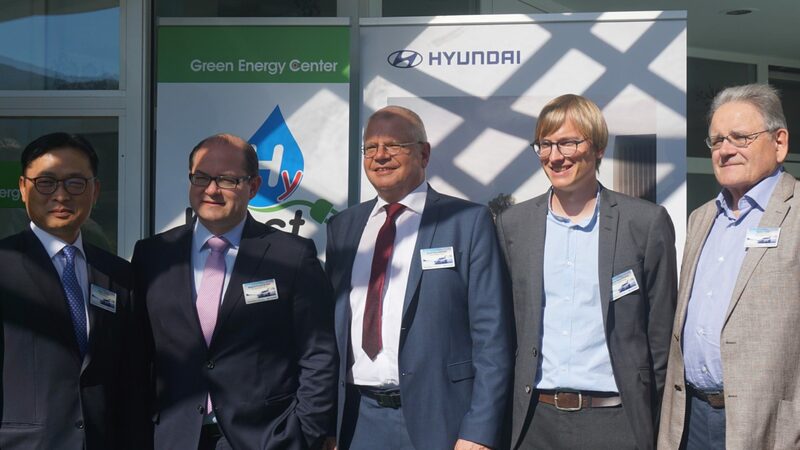 As a founding member and Codex partner of the Green Energy Center Europe, we systematically prepare and strategically develop our hydrogen products. 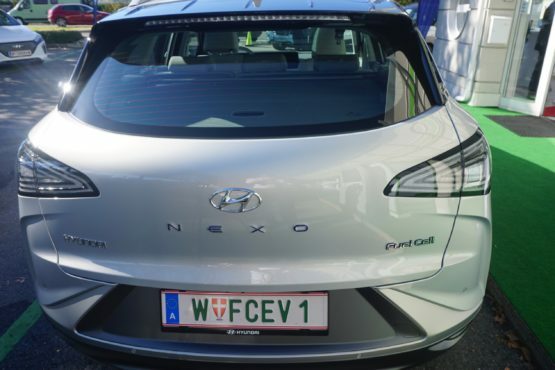 With the Nexo FCEV, we will only target hydrogen affine friendly users within our hydrogen families. 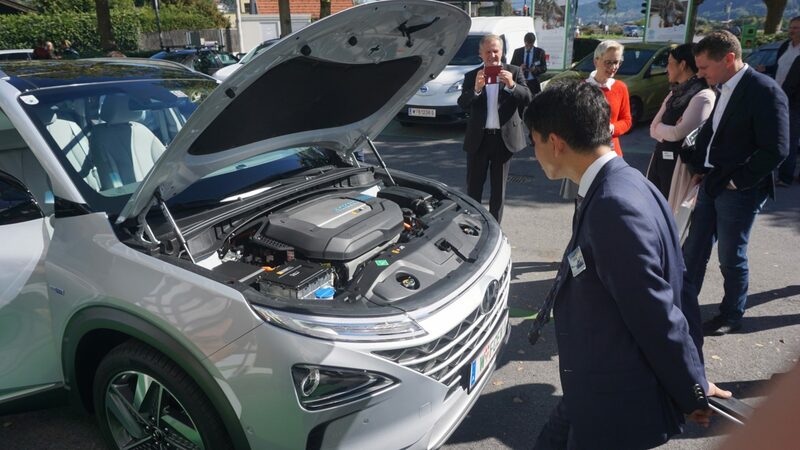 Thus, we take another important step in the sustainable development of this technology in Austria,” adds Roland Punzengruber, CEO of Hyundai Motor Austria. 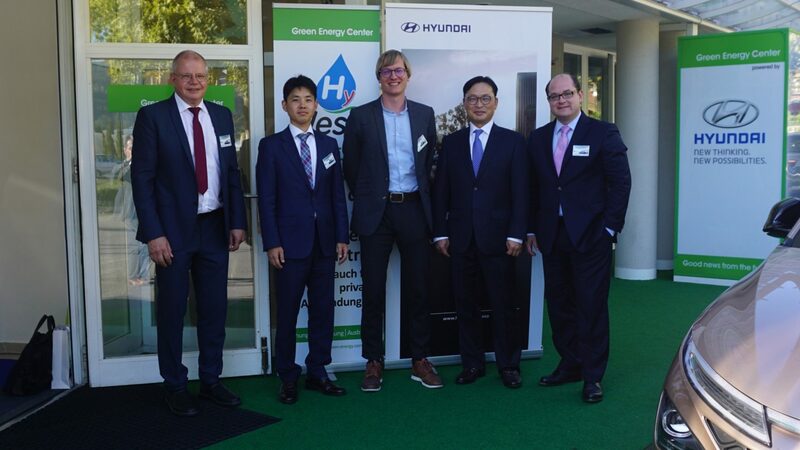 In a next step, Hyundai Motors will also produce fuel cell electric trucks for heavy duty applications in Europe, contributing to the ongoing projects of the Green Energy Center Europe. 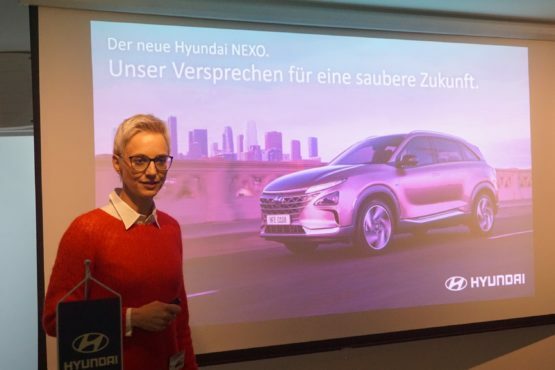 This was announced by Sung Jin Kim, leader of Truck and Bus sales at Hyundai Motors Europe, during the HyWest presentation in Innsbruck. 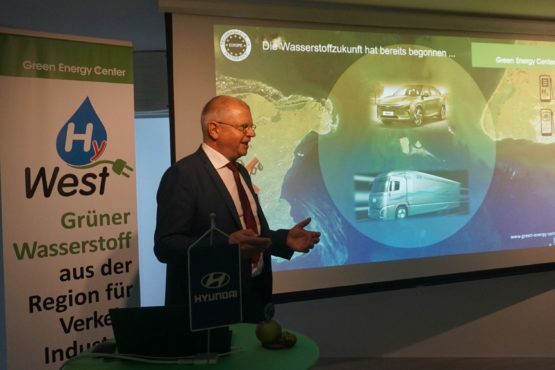 “The Fuel Cell Truck will celebrate its premiere next year. 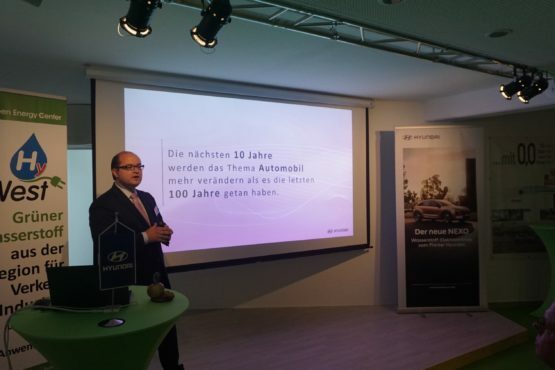 Delivery of the first vehicles in Europe is planned for 2019. 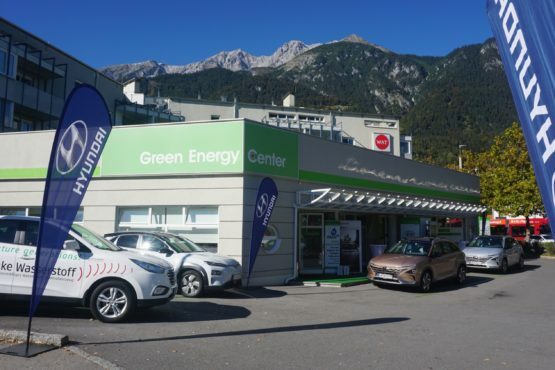 Hyundai Austria and FEN-Systems have contributed significantly to this development within the frame of the Green Energy Center Europe in Innsbruck. 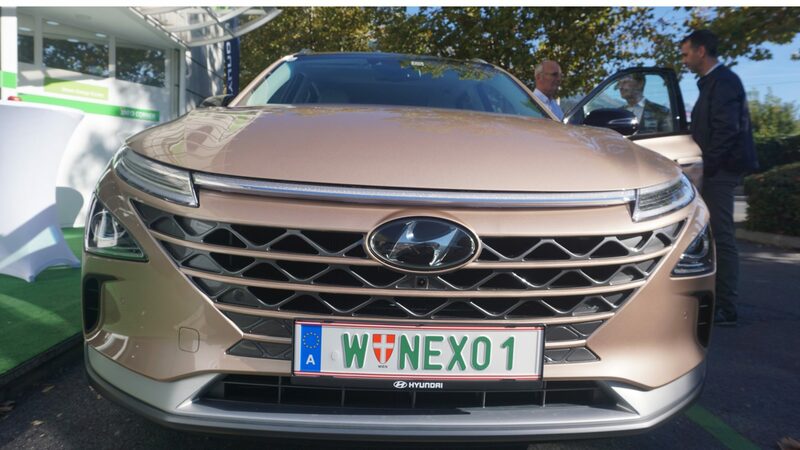 Thus, Hyundai Motors has recognized Austria as a strategic market in Europe, beside Switzerland and Norway. 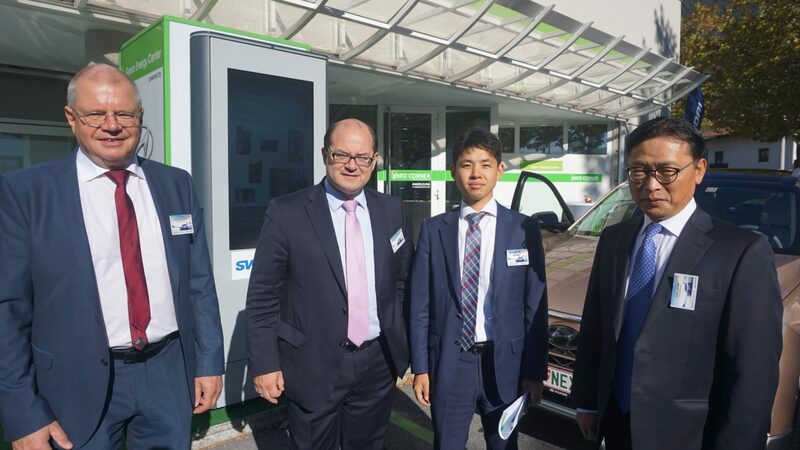 As part of the Codex partnership with the Green Energy Center Europe, Hyundai Motors will also provide stepwise Fuel Cell Electric Trucks building the Bridge into the Green Future.“ says Sung Jin Kim. 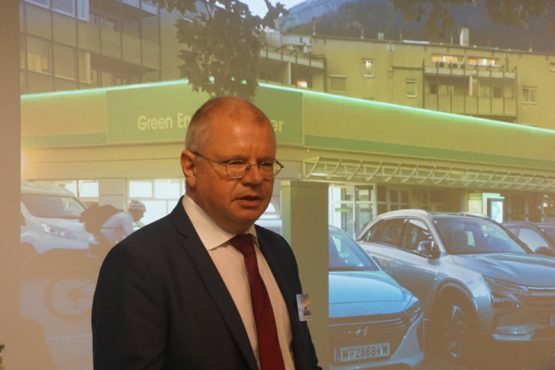 “I am very pleased that Hyundai Motors strengthens our private initiative and now also provides appropriate solutions for heavy duty vehicles in our business plan-oriented hydrogen projects. 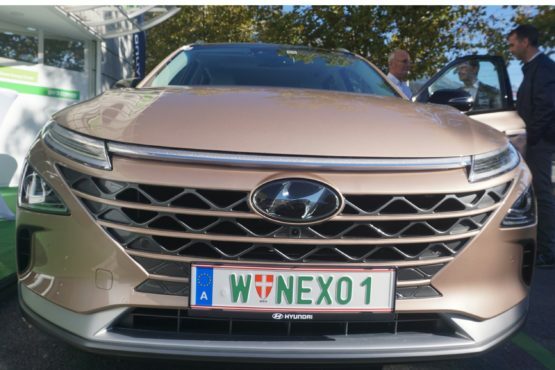 To this end, Hyundai Motors raises large contribution margins, which clearly demonstrates the growing of the world into a large economic village, where even the long overdue climatic adaptation strategies are nothing new. 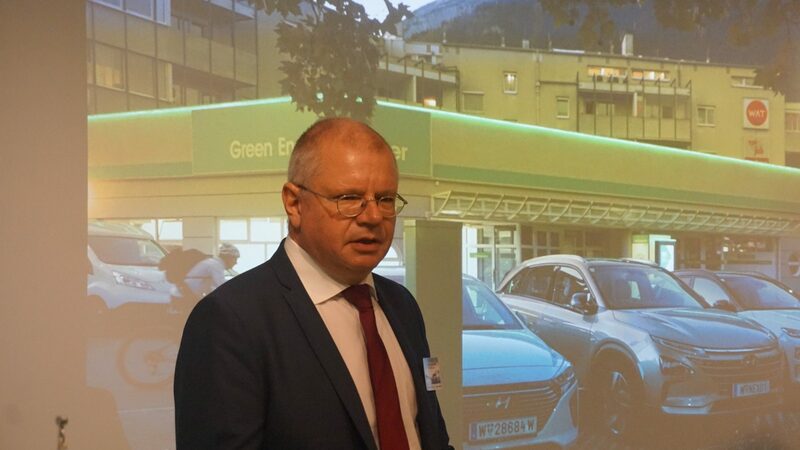 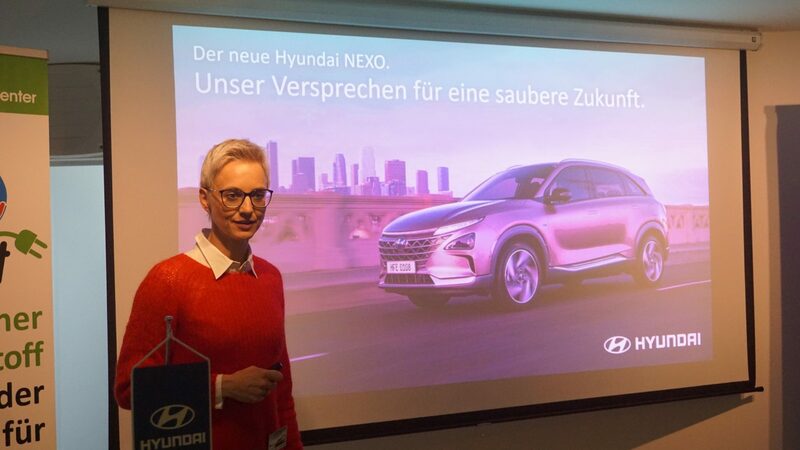 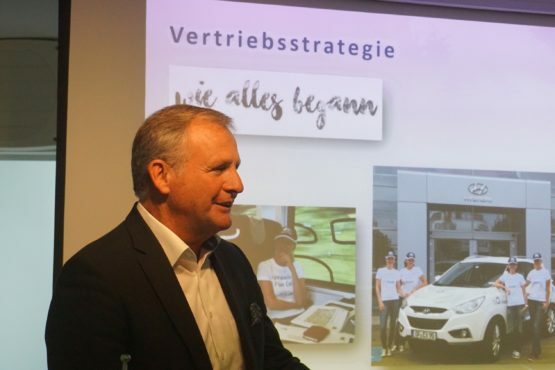 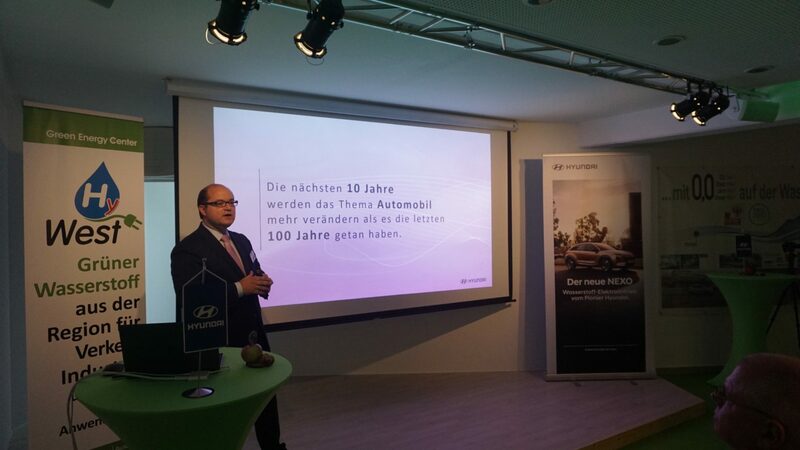 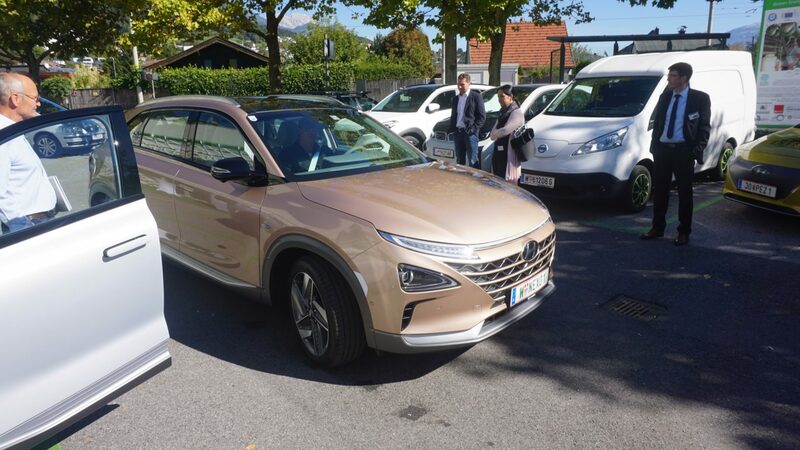 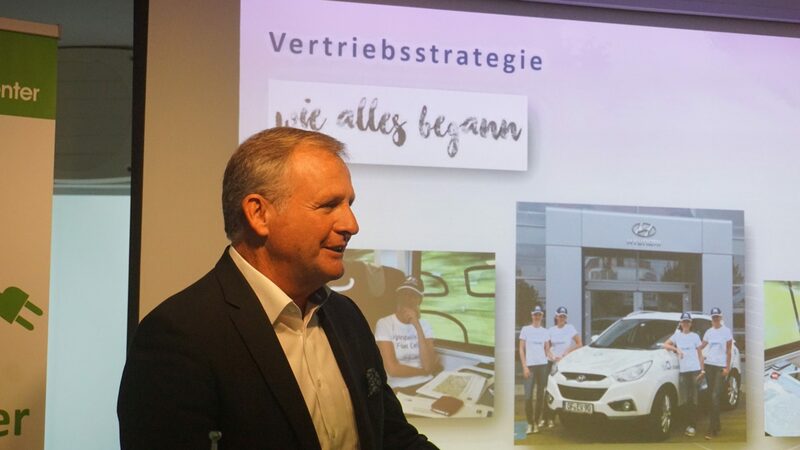 With this future-oriented step, Hyundai Motors creates a significant impetus of the green technology and inter-brand competition, which is a benefit for all of us”, says Dr. Ernst Fleischhacker, pointing out the reason why the private initiative in Innsbruck is worthwhile. 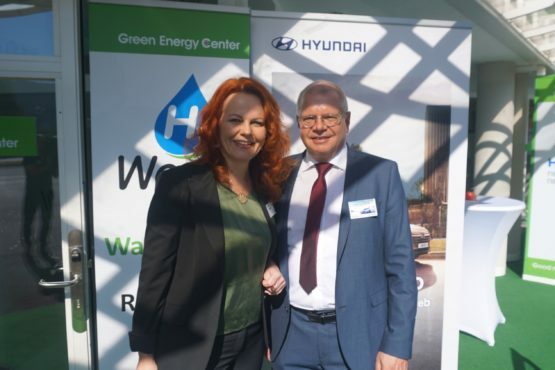 The Green Energy Center Europe had started to deploy hydrogen cars for the hydrogen highways and for the first green corridors in Central Europe at the same time. 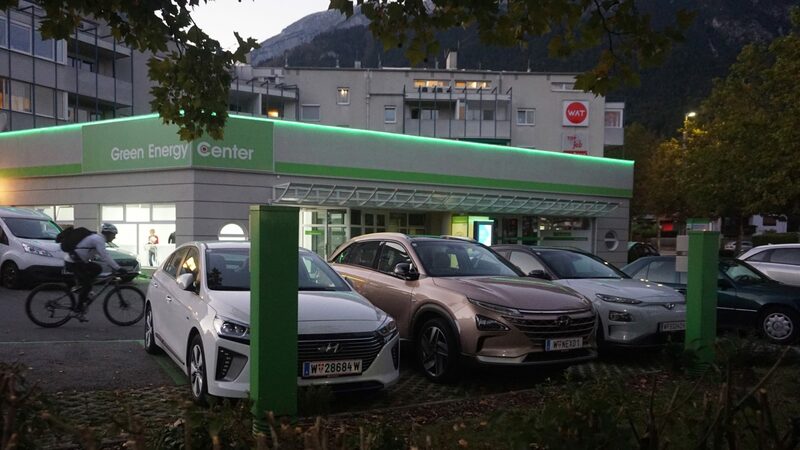 Today the hydrogen highways reach from Innsbruck to Norway and to Vienna and Graz in Austria. 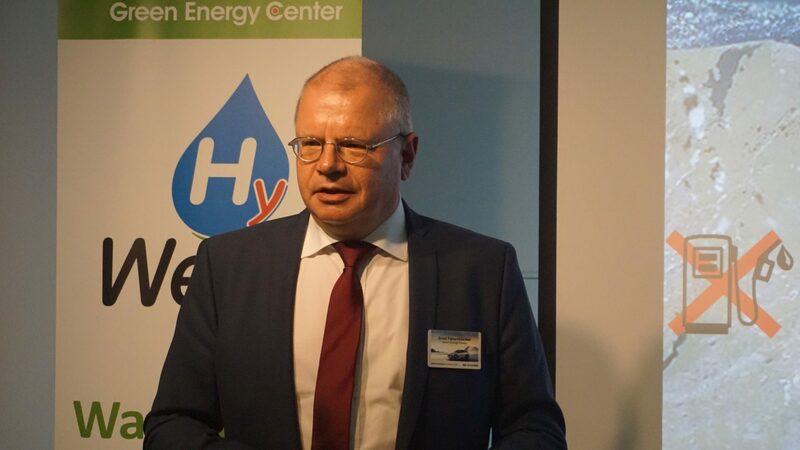 The possibility of the conversion to hydrogen also for industrial purposes is proved with the company Mpreis in a joint EU project called “Demo4Grid”. 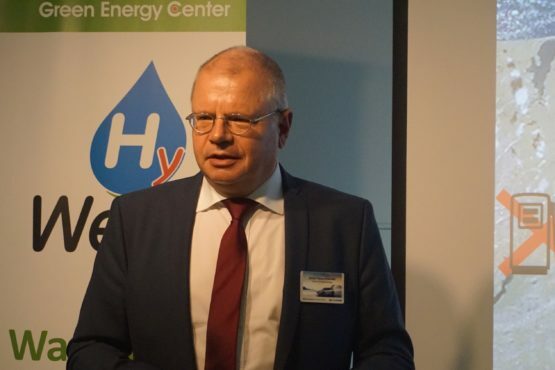 Europe’s largest electrolyzer will be built to convert green TIWAG-electricity into “Green Hydrogen” in Völs next year. 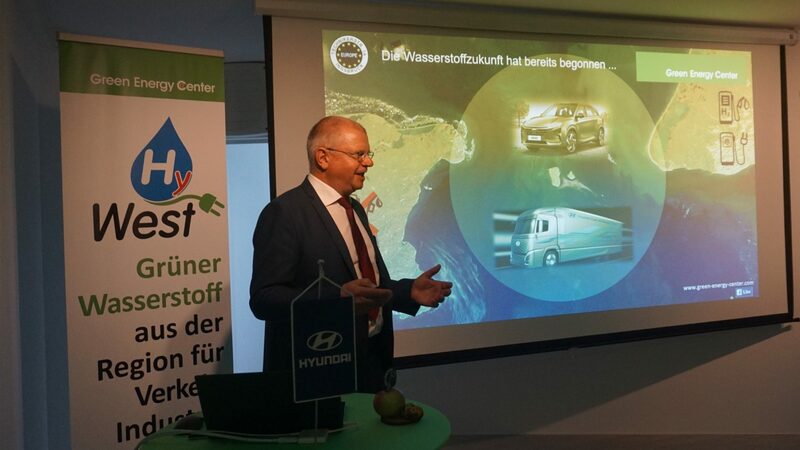 In a first step, the large-scale bakery “Therese Mölk” will be environmentally friendly heated and, subsequently, the entire fleet will be transferred to hydrogen fuel cell trucks. 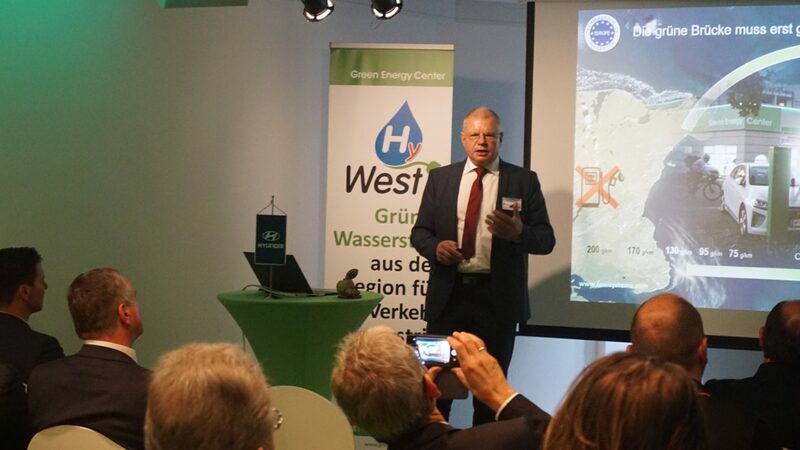 The whole of Europe recognizes this project because of its realization under aspects of economic viability. 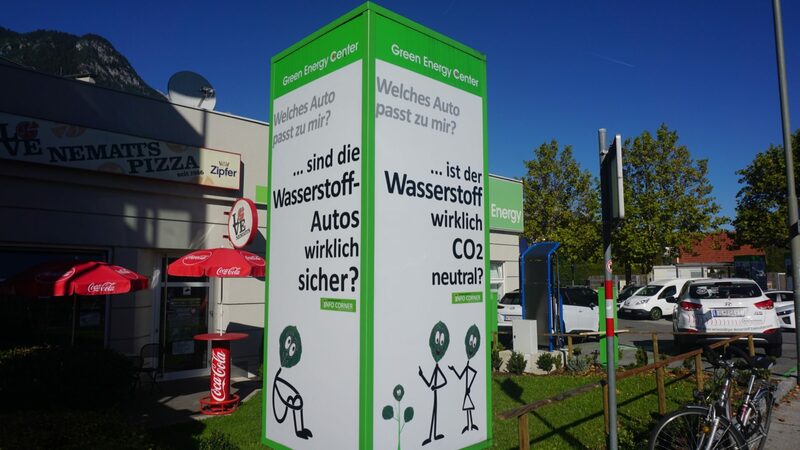 Thus, it will prove that the conversion from fossil to green energy is a business case for the future. 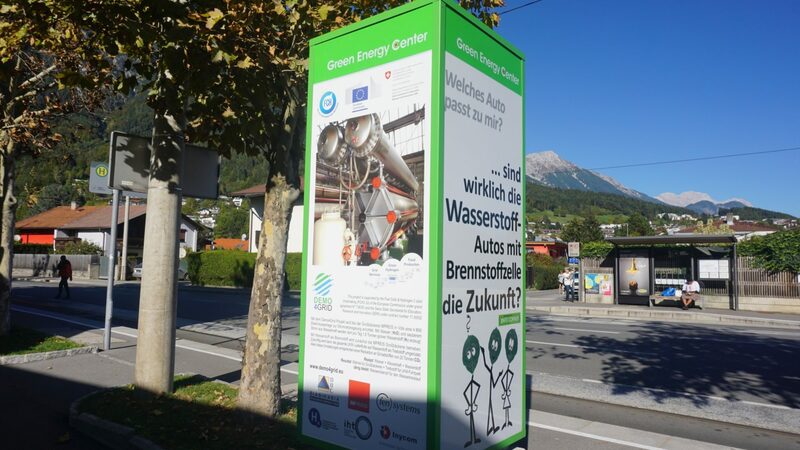 With the Zillertalbahn 2020+ project, the world’s first narrow-gauge railway will be converted to hydrogen operation by 2022. 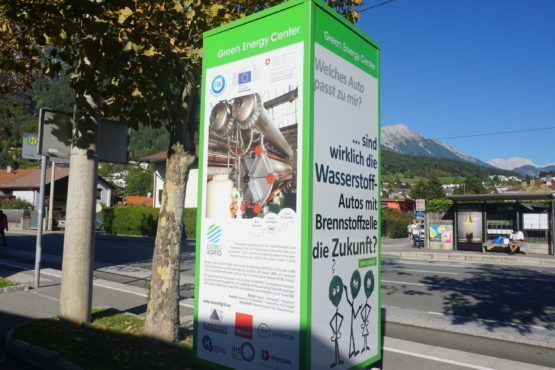 The hydrogen is generated by Verbund’s hydroelectric power stations in Mayrhofen in the Zillertal and provided for refueling or the hydrogen trains. 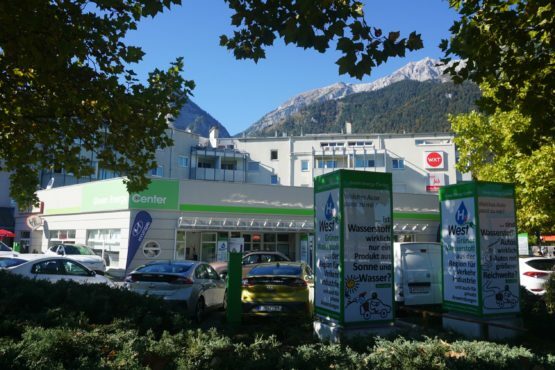 For the Zillertaler Verkehrsbetriebe AG, this results in a saving of 800.000 liters of diesel and a reduction of 2.2 million kg of CO2 emissions per year. 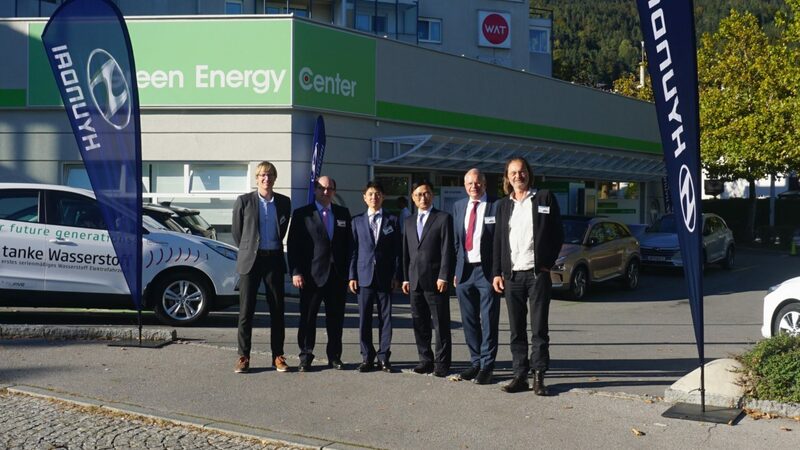 With the newly established hydrogen infrastructure, public buses, piste vehicles and private vehicles can also be converted to hydrogen in the future, underlining the global tourism brand by positioning as a hydrogen region. 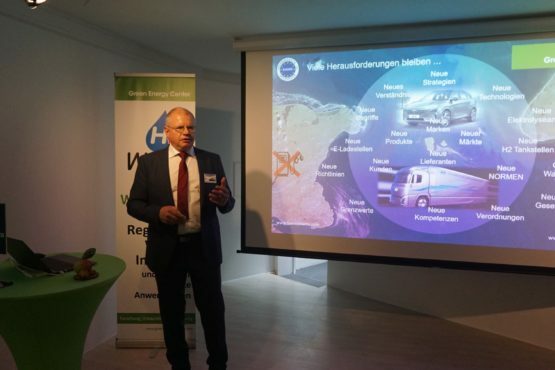 The 1st Hydrogen Forum in Innsbruck at the beginning of 2018 impressively demonstrated the demand for new H2 strategies and technologies in the field of public transport. 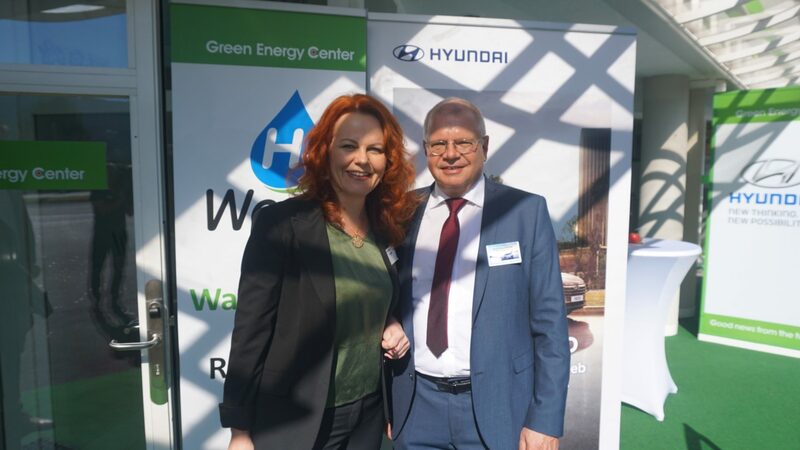 Thanks to some EU funded projects, very specific and good experiences have been gained with the use of hydrogen fuel cell buses. 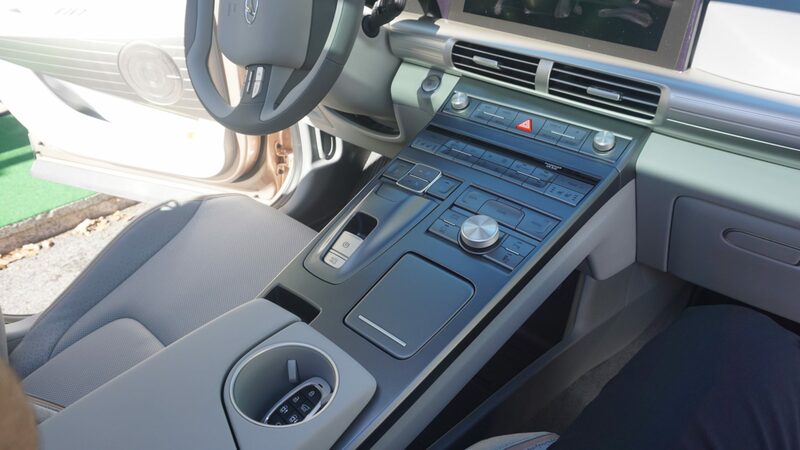 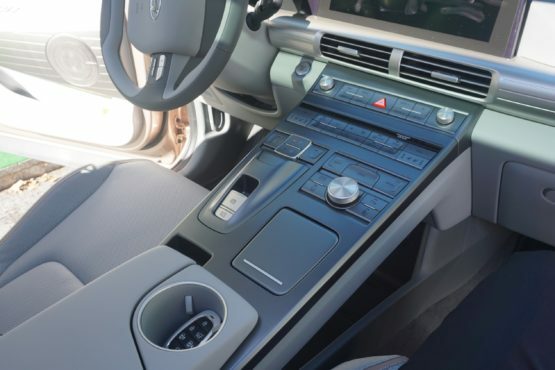 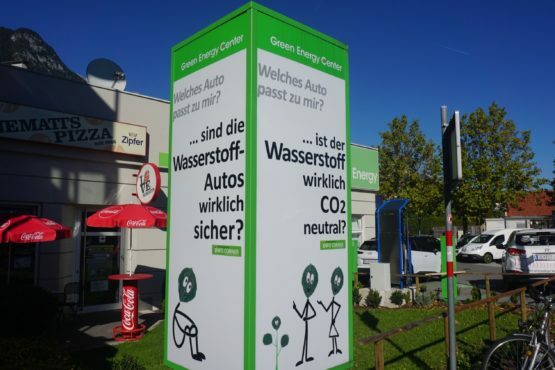 They have to overcome the price difference to the diesel and gasoline vehicles by technology and inter-brand competition and simultaneously have to be adapted to the regional conditions and needs. 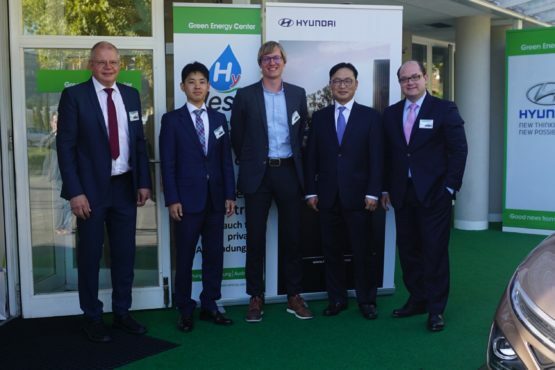 This closes the circle for the expansion of the “hydrogen families” in Austria, which have been set up during the recent years by Hyundai Austria and FEN Systems as part of the Green Energy Center Europe. 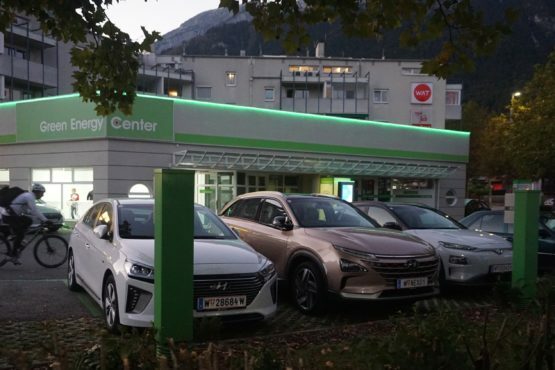 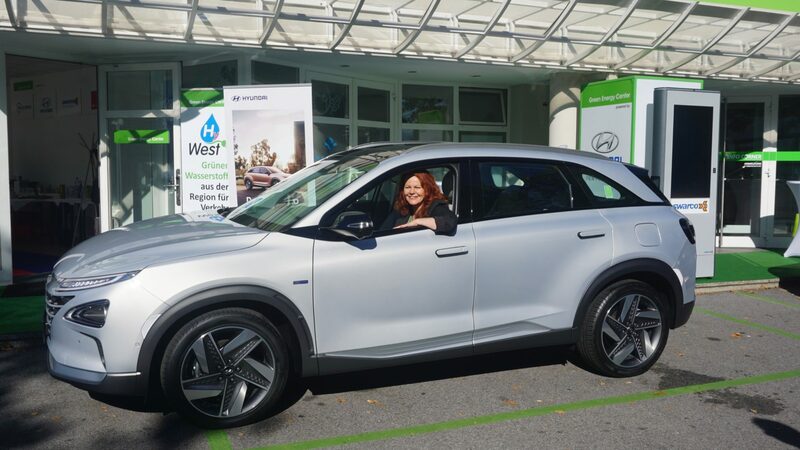 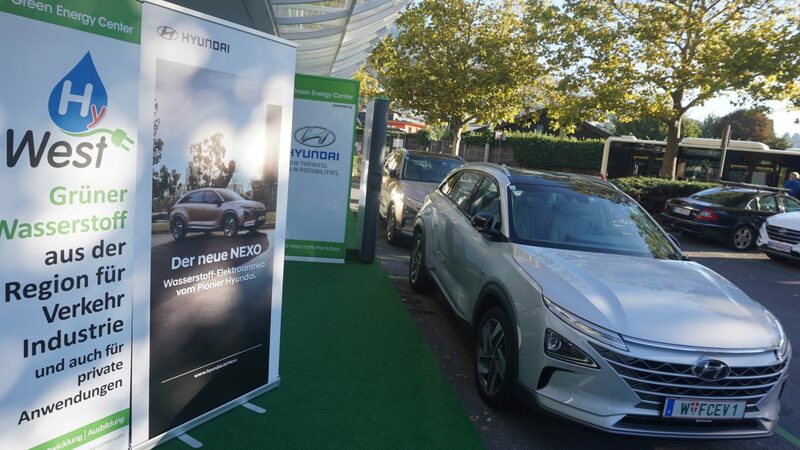 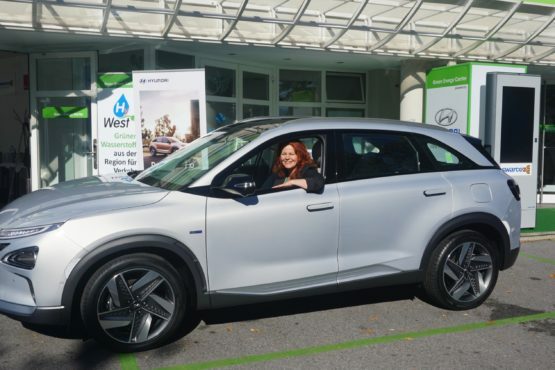 The so called “friendly users” of the Hyundai ix35 FCEV in Tyrol, Upper Austria, Vienna and Styria can be supported strategically and technically by the hydrogen center HyWest and equipped with new hydrogen mobility service products. 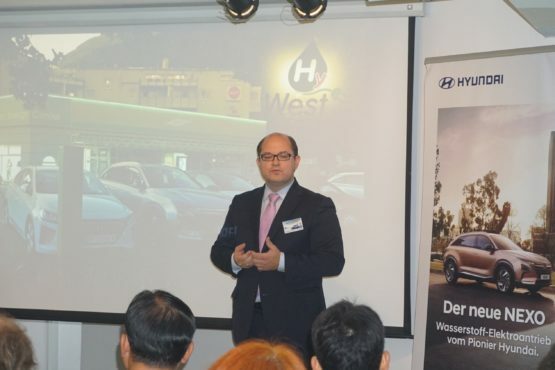 “It is certainly a big challenge to support investors and companies in the strategic direction and implementation of their projects at the best. 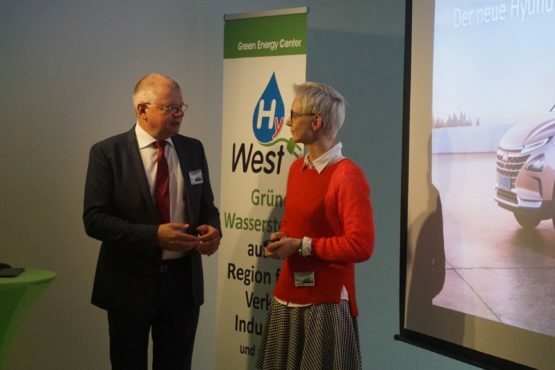 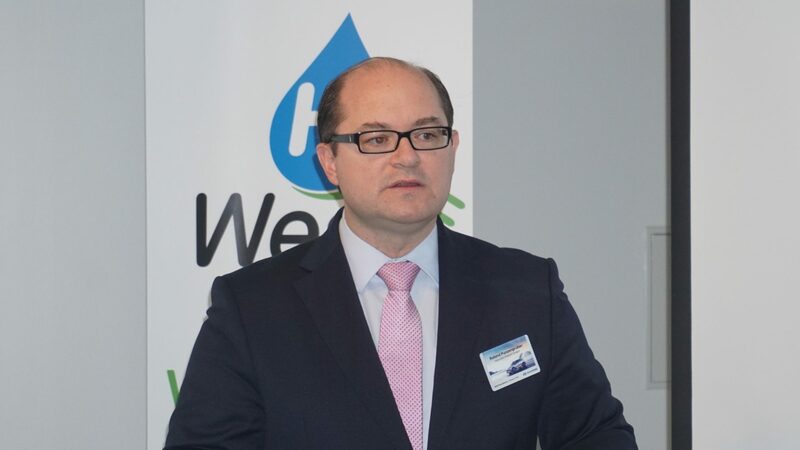 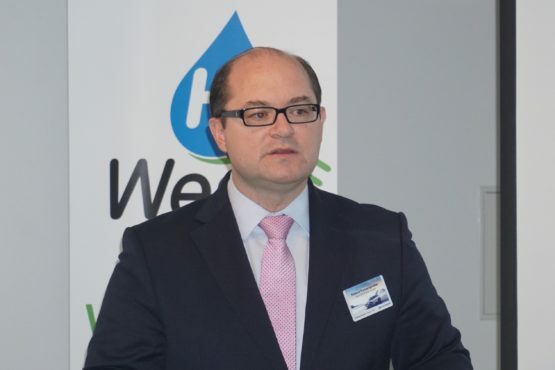 With the competence bundled in the HyWest, we can develop further and implement the ongoing hydrogen projects of the Green Energy Center Europe (hydrogen highways, regions, companies and families) in Austria and Central Europe to the maximum extent of respect and responsibility. 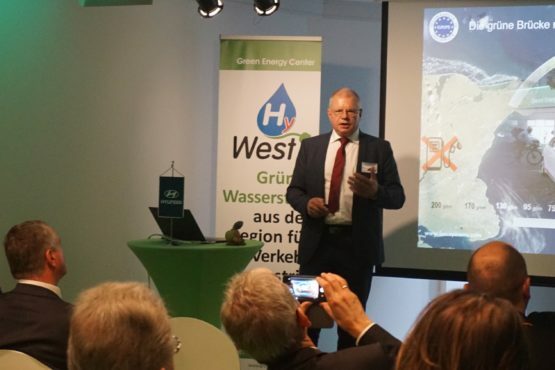 As a private initiative, a major contribution to Tyrol’s goal of becoming energy-autonomous by the year 2050 is made and the maximum possible use of regional resources.”, Dr. Ernst Fleischhacker concluding.